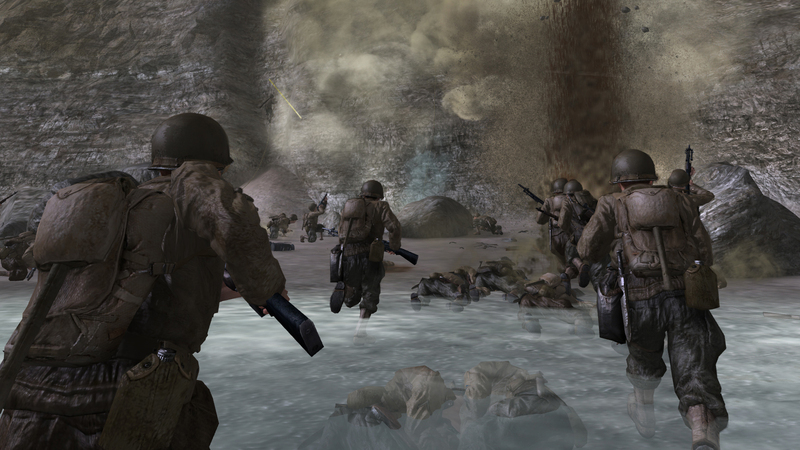 Now boasting over 230 titles, Microsofts’s backwards compatibility program for Xbox One has just received another popular title; Infinity Ward’s 2005 military shooter Call of Duty 2. This will be the second Call of Duty title to be added to the list, with Black Ops having been made backwards compatible in May. Still, there appears to be more demand for titles in the franchise to be added, with five of the six most requested games for backwards compatibility support on the Xbox Feedback website belonging to the “COD” franchise. Call of Duty: Black Ops II tops the list, followed by The Elder Scrolls V: Skyrim, Modern Warfare 2, Modern Warfare, Modern Warfare 3 and World at War. If you already own Call of Duty 2, it should appear in your games library. If you don’t, it is available on the Xbox Store for $20USD and will take up 5.87GB of hard drive space. Popular gaming news outlet GameSpot awarded Call of Duty 2 an impressive 8.8/10 upon release. We will be posting a current list of backwards compatible titles shortly.